Pinnock’s sheer musical integrity and immaculate taste in matters of tempo, articulation and phrasing produced a performance so natural in its unfurling of Matthew’s Gospel story that it had a glorious sense of spontaneity. Had we really heard this work before? Trevor Pinnock is recognised as a leading personality in the direction of period-instrument performance and a harpsichord soloist of international reputation. Having received his education as a chorister at Canterbury Cathedral and a scholar at the Royal College of Music, Trevor Pinnock formed The English Concert in 1973; since then, his lively and stylish interpretations with this ensemble have set new standards in the field of period performance. Based on the premise that their playing should appeal to the general listener as well as to the specialist, this partnership has established a pre-eminence among ensembles performing seventeenth- and eighteenth-century music. Trevor Pinnock and The English Concert have recorded extensively for DG/Archiv. Their catalogue of over 70 recordings have been met with critical acclaim, including Grand Prix du Disque, Gramophone and BRIT awards. The Fondazione Giorgio Cini named their Vivaldi Concerti recording the best Vivaldi production of 1995. Their orchestral recordings include the complete Mozart Symphonies, Haydn's Sturm und Drang symphonies and Bach's Brandenburg Concerti and Orchestral Suites. In collaboration with The Choir of The English Concert, their recordings include Purcell's King Arthur, Dioclesian and Timon of Athens, Handel's Messiah and Belshazzar and Haydn's Nelson Mass, Stabat Mater and Theresienmesse. In 2002 a live recording of their critically acclaimed performance of Handel’s Tamerlano (June 2001) was released on the new label Avie. Trevor Pinnock has appeared frequently as a guest conductor with many of the world's leading orchestras, including the Boston, San Francisco and Detroit Symphony orchestras, the St Paul and Los Angeles Chamber orchestras and at the Tanglewood and Mostly Mozart festivals; he made his Metropolitan Opera debut in 1988 with Handel's Giulio Cesare. Trevor Pinnock first conducted the National Arts Centre Orchestra, Ottawa in 1985 and was appointed their Artistic Director and Principal Conductor from 1991 to 1996. Engagements in recent seasons include the Vienna Philharmonic Orchestra, the Camerata Salzburg and the Deutsche Kammerphilharmonie, and he has also given chamber music and harpsichord recitals in Japan, France, Spain and the UK. 2002/03 sees Trevor Pinnock returning to conduct the National Arts Centre Orchestra in Ottawa and giving harpsichord recitals in Spain and Italy, at the Schlewig-Holstein Festival, Stour Music, Wallace Collection, Handel House and Wigmore Hall, London. In his final season of thirty years as Music Director of the English Concert, Trevor Pinnock will perform with the orchestra in tours of Spain and Italy. Firmly established as one of the world's foremost harpsichord virtuosi, Trevor Pinnock's solo recordings include Scarlatti Sonatas, Handel's Harpsichord Suites and Bach's Goldberg Variations and complete Partitas. As a soloist he has recorded the Bach Harpsichord Concerti and Haydn's Piano Concerto playing/directing The English Concert and the Poulenc Harpsichord Concerto with Seiji Ozawa and the Boston Symphony Orchestra. 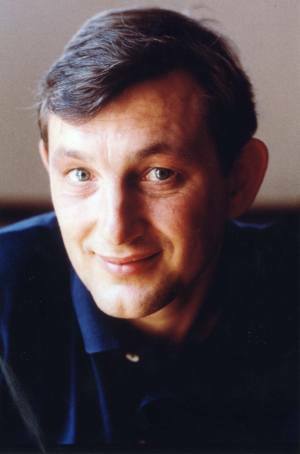 Trevor Pinnock received a CBE in the Queen's Birthday Honours in 1992._In October 2001 Trevor won a Gramophone Award in the Baroque Instrumental section with his Hänssler Classics disc of Bach’s Partitas BWV825-30.